Xbox people, listen up! This week's Deals with Gold spotlight sale is one you don't want to miss. In fact, you might even say it's your destiny to buy at least one of the games. Because... Destiny, you see? Yeah yeah, I know. Into the pun punishment corner I go. If you have a valid Xbox Live Gold membership, from now until May 18th you can grab three big games for small prices on Xbox One and Xbox 360. 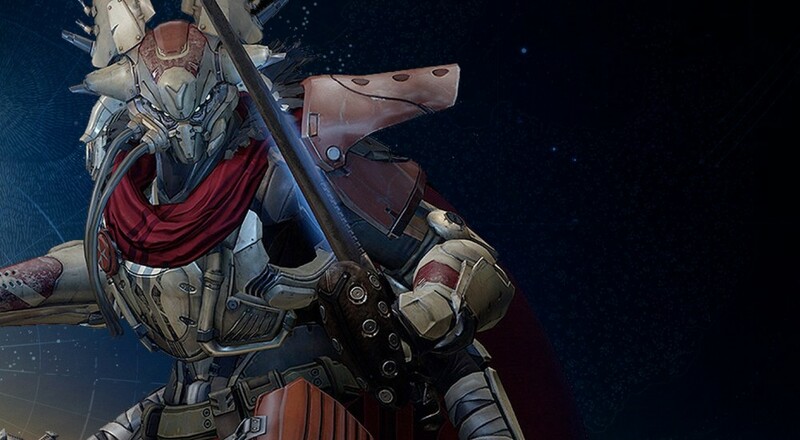 Leading the pack is Destiny, available for both systems at a healthy 50% off the regular price. Xbox One owners can even grab the Digital Guardian Edition for 33% off, which includes access to the Vanguard Armory, an exclusive Ghost Casing, Player Ship, and Player Emblem, and a reservation for two upcoming expansions with new storylines and co-op experiences. Hey, co-op, that's what we talk about all the time! Close behind in the Destiny parade are a few other games you might have heard of: Re-elected and Gat Out of Hell for Saints Row IV, and Gears of War: Judgement with a few choice DLC and skin packs. The entire sale discounts games by at least 25%, so if you missed out on some of the huge co-op releases over the last couple of years, you've got until Monday to set things right.